Tip of the Week: Are You Using the Right Software? Businesses that have been around the block a time or two may have discovered specific software titles that yield little-to-no results. Some might even be security risks that you simply aren’t willing to expose your data to. The free or cheap software found by some organizations to make up for operational deficiencies don’t always cut it, and some can even put your business at risk. This week’s tip is dedicated to finding the best software for your business. Open-source software titles can be used by individuals if a budget is an issue. 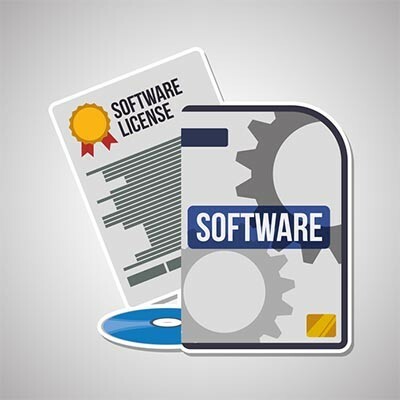 Software developers generally charge licensing fees for businesses to use their software, but open source software simply doesn’t have that. Open-source software actually allows people to distribute and alter the source code as they see fit, whether to improve it or customize it for individual use. Running a business isn’t always about what is most cost-efficient, though. You have your business’ security to think of, too. Paid services could potentially give your business additional security protections that are integrated right into the software. One way this can be accomplished is when you assign all applications that are whitelisted by your business to each workstation, be it a desktop or a laptop. Granted, not everyone will need the same software, but you should have a way to keep track of what software is running on which devices at any point in time. Another strategy you can use is to assign applications by department. If one person in a department has certain software assigned to them, then each other worker in that department will have it. This gives you control over how many licenses your business needs, reducing cost and providing all needed applications to each department. A third strategy involves using some open-source software to limit costs while providing each user with specific applications that they need to be as productive as possible. This gives your organization a considerable amount of flexibility, and the cost reduction might be worth looking into. The problem with this approach is that managing decentralized solutions can increase the cost of management. Again, it’s very important that your business provides the right tools to its employees, as failing to do so could open up the doors for employees to look outside the proper channels for the right tools for the job. This creates a situation called shadow IT, where your employees implement software without first consulting your organization’s IT professionals to ensure that they are safe and secure. These software solutions could pose a risk to your business in the form of security issues and downtime. BNMC can help you implement the right tools for the right job. To learn more, reach out to us at 978-482-2020. VP, Chief Operations Officer and co-owner of BNMC with 24+ years of experience developing and managing technical solutions and operations to drive growth and profitability in the IT services industry. Friday, April 19 2019 Don’t Defrag your SSD Hard Drives! Don’t Defrag your SSD Hard Drives! For decades, a common quick fix for a slow computer was to run a disk defrag on the hard drive. For most modern computers, however, this common practice can actually harm your computer. Let’s talk about why, and how you can tell. can do for your business. Copyright BNMC. All Rights Reserved.